Folks up here called May’s full moon by three names, “planter’s moon,” “milk moon,” or “flower moon.” Many cultures have assigned their own individual names, such as the Chinese, naming their May full moon the “dragon moon.” Well, our three names seem to make perfect sense with their singular definitions. 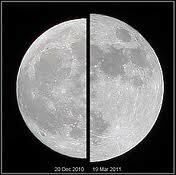 Now, in addition to the arrival of the full moon, this particular one will be our “Supermoon” for the year 2012. It will be the brightest because it will be the closest one to earth this year. Watch for it just after sunset. It will seem to be larger than it really is when it arrives at the horizon. Many mountain folks believed that with the moon so close that it actually would help draw the plants up out of the soil quicker. Personally, I’m not so worried about how quick my plants rise up. I only wish that they live and produce well this year. Maybe the Supermoon will offer a bit more encouragement for my plants this year. This entry was posted in Folklore, Traditions and tagged Full moon, Supermoon. Bookmark the permalink. I’ll be a’watchin for it & may your plants stand tall & prosper! Pingback: SUPER MOON IS COMIN May 5th « Dr. Sherry E. Showalter – "Keepin It Real"